Like many of us, I have more ideas than time to execute them. Especially these days. My son is about to graduate from high school (which seems unreal). And this process is a little more involved for him than it is for a neurotypical student. My son is on the autism spectrum so there have been IEP meetings and three year re-evaluations and meeting with staff at the transition program he’ll be attending next year. I feel lucky that we have so many great services available to us but it has been a lot of extra stuff on my plate and on my mind. Which is one reason I wasn’t as prepared as I would have liked to have been for Art-A-Whirl 2018. 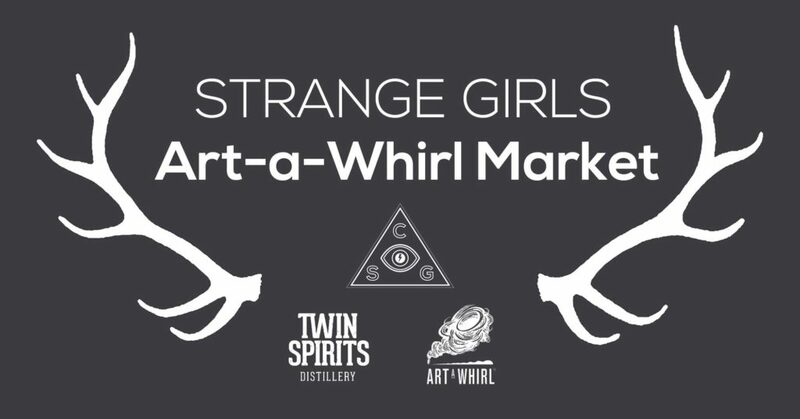 Yesterday I had a booth with my fellow Strange Girls at our Art-A-Whirl Market in NE Minneapolis. Unfortunately the weather was working against us and I only made a few sales. Art is so subjective. And selling framed and unframed photo prints is one of the toughest sells there is. I’m realizing what I need to do for my next time out. Sitting at my booth from 11am – 8pm yesterday gave me a lot of time to mull it over. Make flyers and postcards for the headshot package I plan to offer. That will include passport photos, LinkedIn headshots, social media avatars and dating profile pics. If I don’t make these things happen the art fair scene will continue to frustrate me, financially. From a networking and social standpoint it’s great to hang out with members of our collective and interact with the visitors who stop by. Some of whom do reach out to hire me for events, which is great. What sort of photo related merchandise would you buy or have you purchased at an art fair or on etsy? Feel free to comment! my house is filled with art from people i know and admire and my walls are filled, so i love love love smaller items like magnet post cards key chains etc.